This event includes a Workshop on Ultra-high Broadband Terahertz Communication for 5G and Beyond networks (UBTCN’19) which is being organised by Cluster partner TERAPOD. The European Microwave Association (EuMA) is launching the European Microwave Conference in Central Europe, with associated Workshops and an Exhibition. EuMCE is a new series of events, modelled on European Microwave Week that will be held every two years, visiting the major cities of Central Europe. The aim of EuMCE is to better serve the microwave community in the Central Europe region and promote related microwave activities. Thanks to the associated Exhibition, which will attract companies not only from Central Europe but also from the rest of the world, the microwave industry will be an essential part of this new event, alongside academia and research centres. TERAMETANANO is an annual conference that gathers physicists studying a wide variety of phenomena in the areas of nano-structures, nano-photonics and meta-materials, with special attention to the coupling between light and matter and in a broad range of wavelengths, going from the visible up to the terahertz. The presentations will cover, both from an experimental and theoretical point of view, the optical and electrical properties of advanced nano-scale systems, such as two-dimensional semiconductor nanostructures, nano-crystals, transition metal dichalcogenides, hybrid systems and heterostructures. 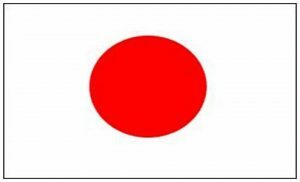 Wireless Technology Park (WTP) is Japan’s largest-scale annual event that focuses on the latest R&D of wireless communication technologies. In cooperation with public and private sectors including educational and research institutes, WTP, which consists of an exhibition, seminars, and Academia programs, will introduce state-of-the-art technologies that expand the possibility of new business such as 5G and IoT, in order to help promote world-leading R&D. Prof. Kawanashi from Wasada University of Technology will present on ThoR at this event. EuCNC 2019 is the 28th edition of a successful series of a conference in the field of telecommunications, sponsored by the IEEE Communications Society and the European Association for Signal Processing, and supported by the European Commission. This conference is one of the most prominent communications and networking conferences in Europe, which efficiently brings together cutting-edge research and world-renown industries and businesses. EuCNC attracts more than 600 delegates each year and an exhibition space of more than 1500 sq m. The conference focuses on various aspects of 5G communications systems and networks, including cloud and virtualisation solutions, management technologies, and vertical application areas. It targets to bring together researchers from all over the world to present the latest research results, and it is one of the main venues for demonstrating the results of research projects, especially from successive European R&D programmes co-financed by the European Commission. This workshop provides a forum for scientists and engineers in this emerging field to present and exchange the outcome of their research. The workshop aims to serve as a catalyst in bringing together participants from academia and industry to help foster new connections and ideas among a heterogeneous community ranging from senior researchers, PhD students, and engineers. The workshop will feature a comprehensive technical program with technical tracks on various aspects related to terahertz research, technology, and applications. In addition, expanded industry exhibitions showcasing the latest advances in THz technology will also provide opportunities for industry professionals to communicate with academics. The scope of the Conference and co-located events is focused on the applications of transparent and all-optical technologies in telecommunications, computing, sensing, and novel applications. Conference topics of relevance to ThoR include: next generation networking, wireless and optical networking and microwave photonics. The aim of this symposium is to provide a forum for researchers and technologists to present new ideas and contributions in the form of technical papers, panel discussions, as well as real-world evaluation in the field of wireless communications, networking and signal processing. 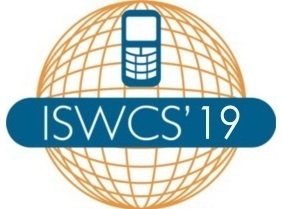 This 16th symposium will bring together various wireless communication systems developers to discuss the current status, technical challenges, standards, fundamental issues, and future services and applications. There will be a special session organised by Cluster partner TERRANOVA: Terahertz wireless communication for beyond 5G. 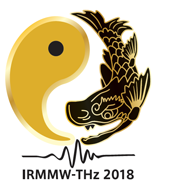 Since 2000, the IRMMW-THz conference series has alternated between Asia, Europe and America on a continuous three year cycle. In 2019, the conference returns to the European leg, and will be held in Paris, France, for the first time, from September 1 to 6, at the Maison de la Chimie Conference Center, Paris. Topics include: sources, detectors, and receivers; modeling and analysis techniques; mm and sub-mm-wave systems, radar and communications. European Microwave Week 2019 is a six day event, including three conferences and a trade and technology exhibition featuring leading players from across the globe. EuMW 2019 provides access to the very latest products, research and initiatives in the microwave sector. It also offers the opportunity for face-to-face interaction with those driving the future of microwave technology. The 22nd European Microwave Week combines. In addition, Exhibitor Workshops and Seminars will be provided by several top organisations with superior expertise in Microwave, RF, Wireless or Radar. This conference aims to bring experts from industry, academia and research to exchange their vision as well as their achieved advances towards 5G, and encourage innovative cross-domain studies, research, early deployment and large-scale pilot showcases that address the challenges of 5G. The Cluster will hold a Workshop From Evolution to Revolution, a Roadmap for Beyond 5G at this event. Please click on the link to register! This EC-supported event was hosted by the ICT-09-2017 Cluster and included sessions on “THz Communication Electronic and Photonic Components and Systems”, “Networks, Protocols and Architectures and User Cases” and “Spectrum and Physical Layer”. There were presentations from ten prestigious invited speakers as well as overviews of the Networking Research Beyond 5G Cluster H2020 projects. More info here (on the Cluster partner TERAPOD webpage)! Themed “Gateway to a Connected World,” the conference will offer five full days of original paper presentations, tutorials, workshops, keynotes, demonstrations, industry sessions and social events designed to further career opportunities and the in-depth understanding of the latest communications advancements worldwide. The 8th EU-Japan workshop on digital strategies was co-organised by the DG CONNECT and the Japanese government. This side event at ICT 2018 had the objective to deepen EU-Japan cooperation with the involvement of governments, industry and academia on subjects of common interest in the area of 5G, Platforms, Data Economy, Artificial Intelligence, Cybersecurity, Electronic Authentication or Connected & Automated Driving. Thomas Kuerner gave a presentation on ThoR to the meeting. The European Microwave Exhibition (25-27 Sep-2018) is the largest trade show dedicated to Microwaves and RF in Europe, providing: 8000 sqm of gross exhibition space, around 4000 visitors from around the globe, >1500 conference delegates and in excess of 300 international exhibitors. In parallel there are three world class conferences: European Microwave Conference (EuMC), the largest event in Europe dedicated to microwave components, systems and technology, European Microwave Integrated Circuits Conference (EuMIC) and European Radar Conference (EuRAD). The conference and its long standing accompanying monthly publication, now known as the Journal of Infrared, Millimeter and Terahertz Waves (JIMT), were among the very first scientific outlets for the burgeoning field of far infrared research. Since 2000, the IRMMW-THz conference series has alternated between Asia, Europe and America on a continuous three year cycle. In 2018, the conference returned to the Asian leg, and was held in Nagoya, Japan.